British novelist L.P. Hartly famously wrote, “The past is a foreign country: they do things differently there.” This certainly is true with respect to the Bible. The world of the first century, whether Jerusalem, Corinth, or Rome, is vastly different from the world we inhabit. If we want to understand the Bible correctly, then we must “mind the gap,” as the trains in London say—the cultural gap between ourselves and the ancient world of the biblical authors and their audiences. Our tendency is to expect things to be the same and assume that when the Bible speaks about something like money, food, marriage, vice, or righteousness, that it means what we mean today. However, informed readers and wise teachers of the Bible will want to engage in the habit of de-familiarization—learning how the Bible is different from our time—in order to help us better appreciate how the Bible can speak to our time. Getting a sense for what the biblical text meant in its original context can help us successfully apply it to our own setting. Paying attention to the cultural gap prevents us from adopting overly simplistic and naïve applications, like equating slaves with modern factory workers or an ancient temple with a modern church. Let me give three examples of New Testament concepts that often seem familiar but likely are more foreign to our modern sensibilities. Many of us have enjoyed some good Christian “hospitality.” You go over to a friend’s place after church and enjoy some great barbecue, or maybe a nice roast dinner. Then the next week you invite the same folks over to your place. This is hospitality expressed as church friends hosting other church friends. In the ancient world, hospitality wasn’t so much what you did with close friends, but something you did for complete strangers. In the ancient world—both the Hellenistic Mediterranean and the ancient Near East—being hospitable to travelers and strangers was an expression of piety; refusing to show hospitality was impious and even a sign of barbarism. This is why the New Testament lays so much emphasis on showing hospitality to strangers. As the writer to the Hebrews said: “Do not neglect hospitality, because through this some have received angels as guests without knowing it” (Heb 13:2 leb; see also Rom 12:13; 1 Tim 3:2; Titus 1:8). It’s also why the churches are urged to be hospitable to itinerant missionaries and help them on their way, just as Paul instructed the Corinthians about Timothy: “But if Timothy comes, see that he is with you without cause to fear, for he is carrying out the Lord’s work, as I also am. Therefore do not let anyone disdain him, but send him on his way in peace in order that he may come to me, for I am expecting him with the brothers” (1 Cor 16:10–11 leb; see also Rom 16:23; Col 4:10). Biblical hospitality is not what you do with your usual friends; it’s what you do for strangers who have nowhere to go, such as those made homeless by tragedy or a visiting preacher looking for a place to stay. Another common idea is “fellowship.” Many church services I’ve attended have ended with an invitation for people—regulars and visitors—to stay for fellowship in the church hall. Here “fellowship” means a churchy version of friendship, or informal socializing after public worship. But in the ancient world, that ain’t fellowship! The word koinōnia does not mean polite friendship but a mutual partnership in a shared venture. Paul thanks the Philippians because of their “fellowship in the gospel” (Phil 1:5) and he commends them because “in the early days of your fellowship with the gospel, when I set out from Macedonia, not a single church shared with me in the matter of giving and receiving, except you only” (Phil 4:15). Just like Paul and the Philippians, we are called to have a fellowship in the gospel, and that entails giving and receiving from gospel workers in order to promote the gospel’s advance. In other words, fellowship is not what you do over coffee in your church, but something your church does with the missionaries it supports. We have grown accustomed to the idea that religion is separate from politics, often linked to ethics and focused mainly on personal beliefs about the supernatural. In the ancient world, “religion” was exactly the opposite of these things. Ancient Greco-Roman religion was fully integrated with the political sphere, rarely had anything to do with virtues or vices, and was more about proper rituals than theological beliefs. In Latin, the word religio meant “scruple” in the sense of one’s duties to the gods, not a comprehensive worldview about the gods and their relationship to humans. In Greek, the main terms we find for religious activity (found also in the New Testament) are “piety” or “godliness” (eusebeia) and “worship” (thrēskeia); in Greek literature, these terms are used predominantly in relation to sacrificial rites in a pagan temple. The early Christians appeared to be religious in the sense of having their own rituals like the Lord’s Supper and baptism, types of communication from the divine world through prophecies and ecstatic utterances, and comparable forms of worship like singing and prayers. However, given that the Christian assemblies had no temple, no sacrifices, and no priesthood, Christianity probably looked to outsiders more like a philosophy than a religion. These three examples of the cultural gap urge us to avoid assuming a direct parity between the ancient world and our own environment—and there are plenty more examples, such as ancient views of gift-giving, marriage, households, friendship, and sexuality. We have to deliberately de-familiarize ourselves with the text by familiarizing ourselves with the ancient world. This will help us read God’s word afresh and hear it resound in vibrant new ways in our own setting. * Unless otherwise noted, Scripture quotations are the author’s translation. 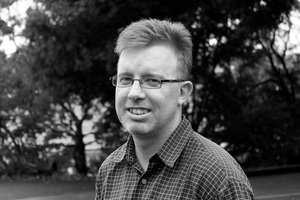 Michael F. Bird teaches theology at Ridley College in Melbourne, Australia. He is the author of What Christians Ought to Believe: An Introduction to Christian Doctrine through the Apostles’ Creed (Zondervan, 2016) and Evangelical Theology: A Biblical and Systematic Introduction (Zondervan, 2013), and he is editor of the Lexham Press Snapshots series. He blogs at Euangelion (Patheos.com) and can be followed on Twitter at @mbird12. Make your Bible study effective, organized, and relevant!